We’re fortunate to have a number of independent toy stores in the National Capital Region that deserve some serious shopping consideration. Advantages of shopping outside the big-box retailers include; attentive service, unique offerings to cater to all of your gift giving whims, plus the satisfaction of supporting local businesses. 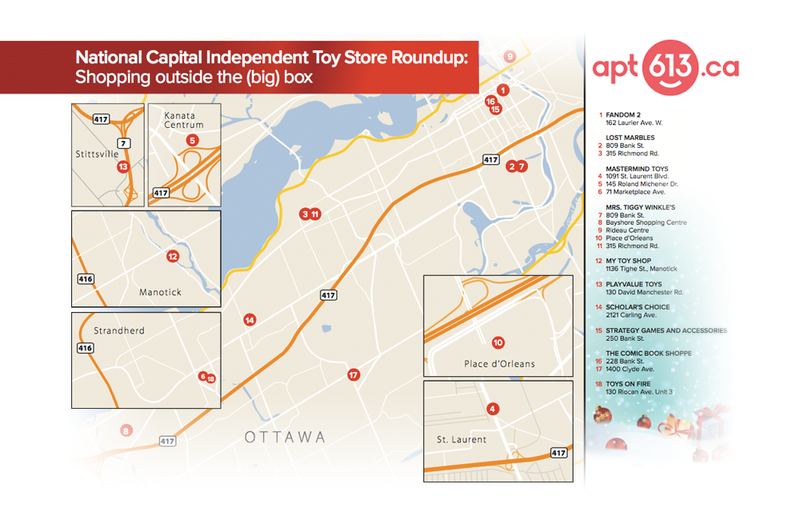 In this article on Apt613, I give readers the low-down on a few of my favourite indie toy stores in the Ottawa-area.